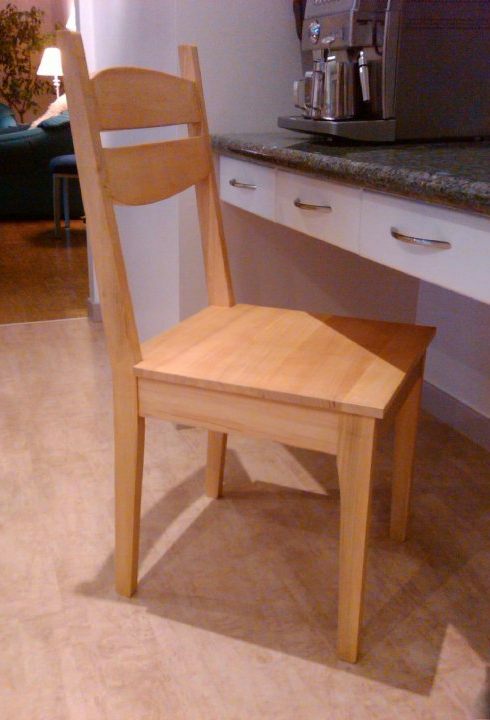 "Matthias, that you very much for publishing an excellent set of kitchen chair plans. 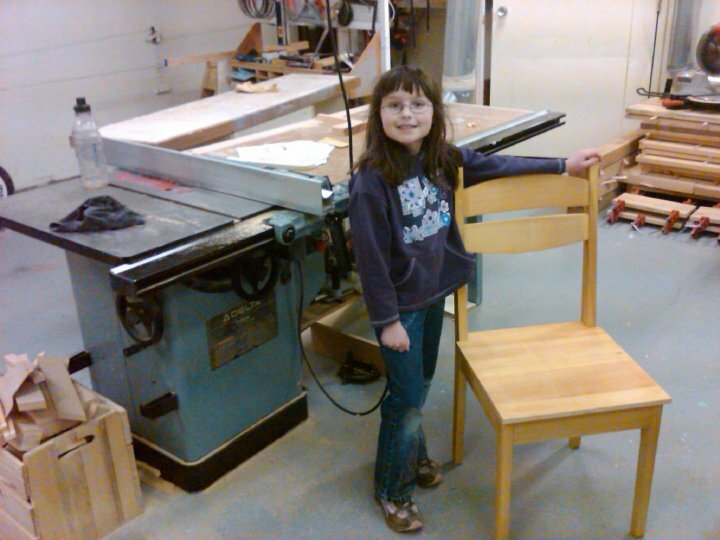 I used your plans this week with my eight year old god-daughter to build a chair for her father. I found your plans to be very complete, accurate, and a pleasure to work with." 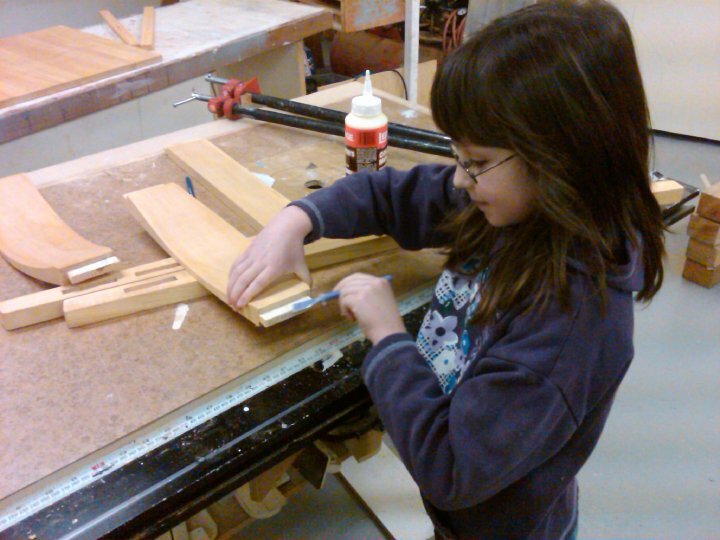 "I chose not to carve the back rungs, and simply sanded them to remove the bandsaw marks. 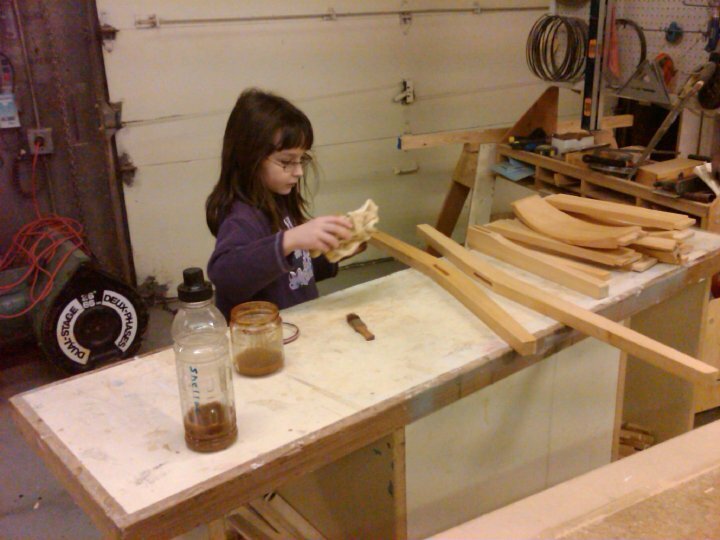 My goal was more to have an enjoyable day with my niece making sure we actually got the project finished. 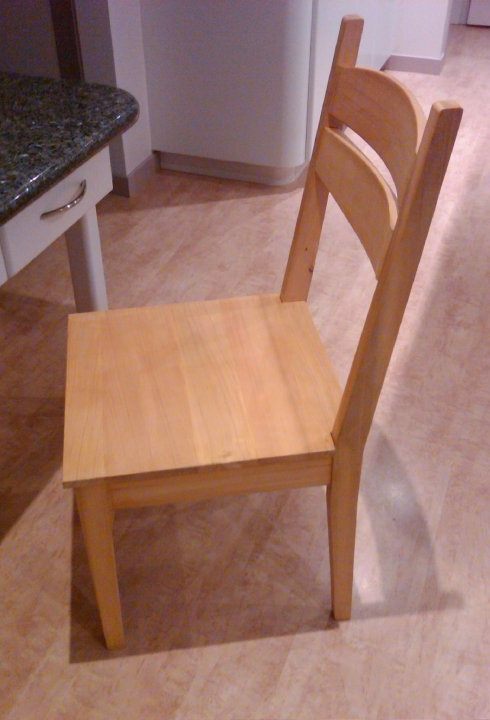 I certainly do like the looks of your chair with the carved rungs, but even the basic design looks pretty good"